"I didn't want to do it, period," says Whitman. "It didn't meet research best practices in any aspect. [We were] illegally harvesting data." The victims of this data breach? Kids in Portland Public Schools. For two years, professors at PSU's Graduate School of Education conducted a research project using unwitting K-12 students as subjects. The university has since acknowledged it failed to inform parents of the research and did not get their permission to access the student data. University officials say they are still examining whether any laws were broken. Starting in 2016, two PSU graduate school professors asked teaching candidates to collect the personal data of students by taking it off school computers, including names, race, gender, disability status and whether they were learning English as a second language. 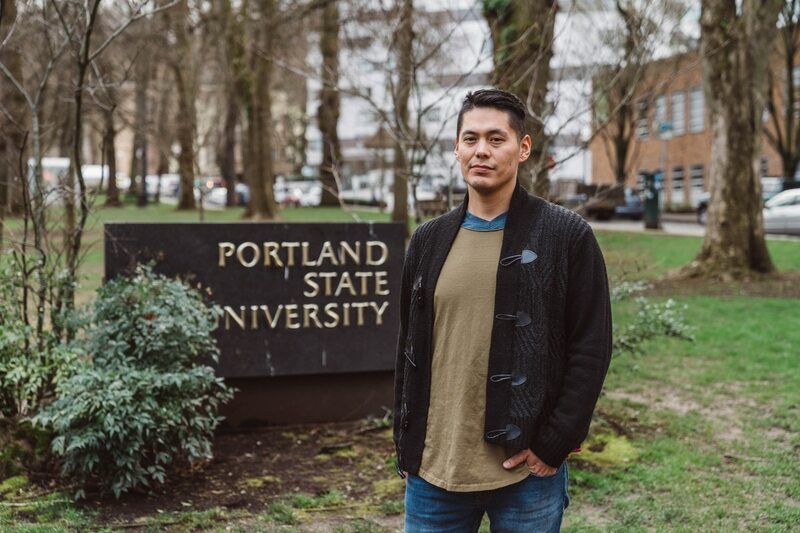 PSU says the aim of the study was to create better results for students of color, by changing teaching methods to reduce racial disparities in test scores. But WW has exclusively obtained an internal report showing that in trying to reach that goal, PSU professors and grad students collected personally identifying data from minors without asking for the consent of their parents—as federal law typically requires. It's hard to say whether the study helped or hurt the kids whose classrooms were used as labs. But it appears to be a remarkable breach of trust. 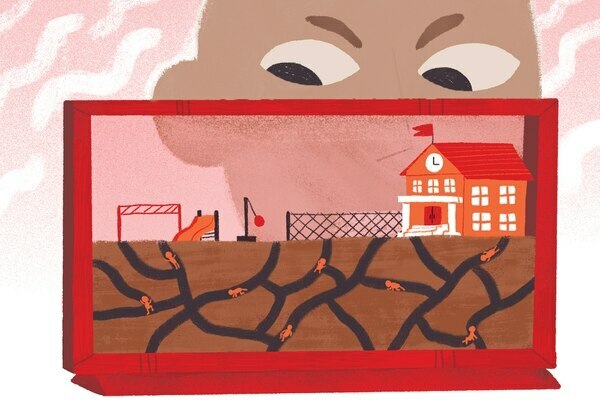 Parents who send their children to public schools have an expectation that personal information about their kids—their names, grades and test scores—won't leave the school system. Instead, the personal details of thousands of Portland-area students were pulled out of school computers and used as the raw material for a study—and parents still haven't been told. Throughout the 2015-16 and 2016-17 school years, graduate students in the PSU program raised warnings that the project was poorly designed, racially inflammatory and possibly illegal. They were ignored. "I had concerns about the assignment and the research itself," Whitman tells WW. "After bringing up those concerns to the professors, no one seemed to care." The breach points to several failures of accountability—both at PSU and in the public school system. PSU administrators concede in multiple documents that faculty had concerns the study asked student teachers to break the law. And the city's biggest school district, Portland Public Schools, still hasn't—at the time of the publication of this story—told parents their children's information was collected without their knowledge for a study. The district says it does not know of any legal violations. PSU professor Susan Lenski and assistant professor Maika Yeigh, who oversaw the project, did not return WW's requests for comment on this story. The study began spring semester 2016. Lenski, who oversees the Graduate School of Education's curriculum, designed an assignment to help teach graduate students about equity in the classroom. Lenski asked other professors in the department to assign the project to their students. To accomplish this, Lenski and Yeigh needed the demographics and test scores of students in public schools taught by student teachers. But a 1974 federal law called the Family Education Rights and Privacy Act protects personal information that identifies individual students and bars schools from distributing that data to anyone without the consent of the students' parents. Emails, internal reports and the assignment outline show the professors instead asked their graduate students to take the data from school computers without asking for permission. One hundred twenty graduate students were given the assignment. They taught in classrooms in 15 school districts in the Portland metro area, including Portland Public Schools. Most of them followed their professors' instructions. Whitman didn't. He refused to do the assignment and filed a complaint with the university last spring. In spring 2016, a handful of students wrote essays objecting to the assignment and refused to participate. The next year, professors told a new batch of post-grads, including Whitman, that the assignment was required to get a teaching license. Yeigh initially gave Whitman a failing grade after he refused to participate in the research project. It took his filing a complaint with the university's office of Equity & Compliance to keep him in the program and halt the experiment. After Whitman filed his complaint, PSU investigated the project. The final report chronicling the investigation noted in October that at "no time did Lenski provide FERPA training to [teaching candidates], and informed consent was not obtained from pupils' parents to collect data regarding their students' performance." Marvin Lynn, dean of the Graduate School of Education, wrote a Jan. 9 email to faculty members acknowledging there were concerns the assignment "required [teaching candidates] to violate FERPA laws." In the same email, Lynn blamed the possible violations on "our limited knowledge about FERPA." Lynn declined to return multiple requests for an interview and refused to answer questions sent to him through the university's spokesman. PSU says it's still not sure whether grad students were asked to break the law—or how exactly the law applies in this case. "Concerns from some…students and faculty were raised about whether K-12 student data was collected or used in violation of FERPA," says university spokesman Kenny Ma. "The university is continuing to review whether some PSU student teachers, who did not receive adequate FERPA training, could have collected student data without parental consent." Portland Public Schools denies any knowledge of the data breach. Emails show that the PSU had been "working closely" with the school district to prepare a workshop, held Nov. 14, 2017, to address the possible legal violations identified in the university's review of the project. Whitman says parents of the children whose data was illegally used should be informed of the breach, because they are the only people who can complain to the feds. "They're sweeping under the rug that they allowed this research to be done on students whose parents were unaware and whose data was being breached," Whitman says. 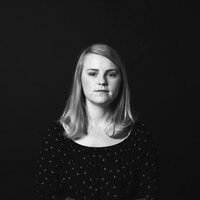 "The university allowed this to happen, and there were no repercussions because of it." Correction: This story originally said that PSU changed Whitman's failing grade. The university did not change his grade but allowed him to graduate. WW regrets the error.